Enter the construction and civil engineering industry and take the first step towards a CSCS Labourer card by taking our Health and Safety Awareness course. This course is intended for those who have entered, or are about to enter, the construction and civil engineering industry. 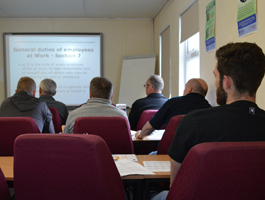 And is the first step towards a CSCS Labourers (Green Card) and to the progressive CITB Site Safety Plus courses range of training for site operatives up to senior manager / director. To provide you with an understanding of health, safety, welfare and environmental issues identifying individual responsibilities for looking after yourself and others, what the employer’s duties are and what should be done if they think anyone’s health and safety is being put at risk. You will be tested on your knowledge with a classroom-based theory test. You will receive an industry recognised CITB Site Safety Plus certificate that is valid for 5 years.